Today we have 5 Questions with a budding star on the NCAA scene. 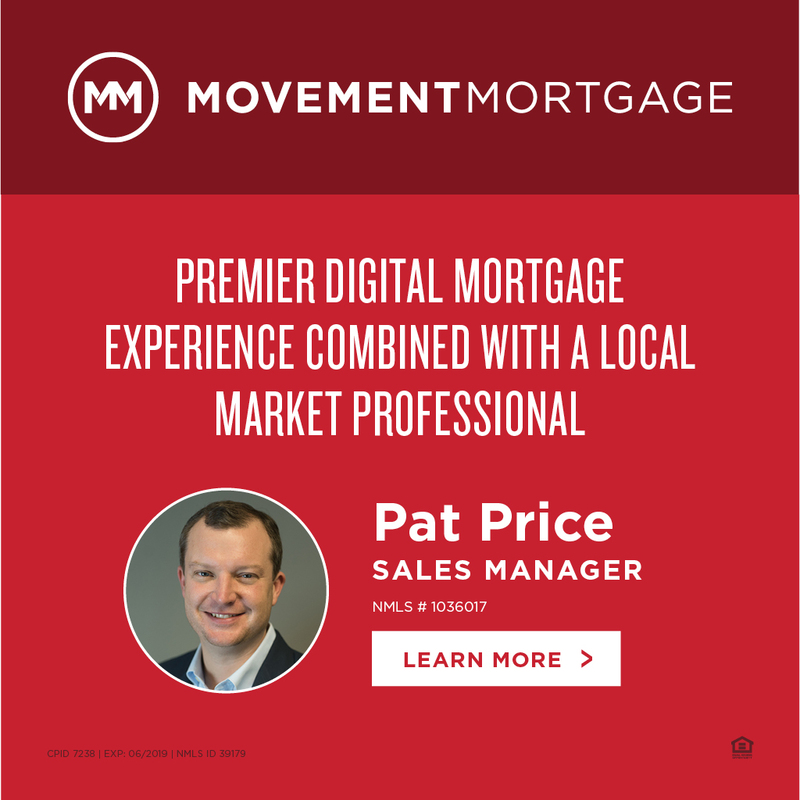 In his first year in Division I, he was an All American in Cross Country, finishing 13th in Terre Haute, an All American indoors, finishing 4th in the 3000 meters and finally, an All American Outdoors in the 5000 meters. 1. Writing About Running: Congratulations on finishing at the runner up in the Men's 5000 meters at NCAA's. How did that race play out in your opinion? Paul Chelimo: The race was great, but tough. It was so hot and the air was dry. I had to persevere until the end. The pace went out slow at 4:28 for the first mile then got faster the next mile. It ended up being a kicker's race. 2. Writing About Running: Coach (Linh) Nguyen has put together a great team at UNC Greensboro. How did you end up there? Paul Chelimo: I knew most of the guys on the UNCG team. Also, UNCG had shown great improvement in Cross Country and Track. 3. Writing About Running: Between yourself, Paul Katam and Joey Thompson, UNCG has had a lot of success in distance running this year. 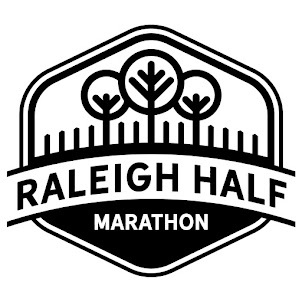 Where are some good areas to run in Greensboro and what kind of training have you been doing? Paul Chelimo: We do most of our runs at Hamilton Lakes Park, Salem Lake, Bur Mill Park and at NC A&T's Track. The kind of training that we do is tempo runs and speed work on the track twice a week, once a week long runs, then easy runs each day after a workout. 4. 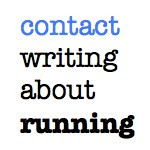 Writing About Running: You'll be the fourth top returner for Cross Country in the fall. After such a strong track season, do you feel like you've made the jump to compete for the title in the fall? 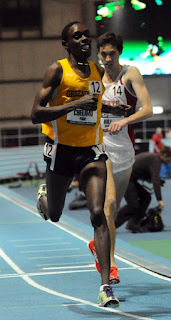 Paul Chelimo: I am now more confident than before, going into the season. I am among the favorites to win the Cross Country title. I will have to bump up my mileage this summer to get ready for the Cross Country season. I am so thirsty for the National title; all it takes to win, is discipline and hard work. 5. 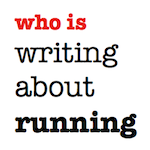 Writing About Running: What's next for Paul Chelimo? Paul Chelimo: I will be going for the Kenyan Olympic Trials, it’s going to be a long journey but I am confident that I will do great. Thereafter, I'll focus on the Cross Country season this fall.